The Crew is a 2000 black comedy crime film, directed by Michael Dinner and starring Burt Reynolds, Seymour Cassel, Richard Dreyfuss, Dan Hedaya and Jennifer Tilly. Barry Sonnenfeld was one of the film’s producers. 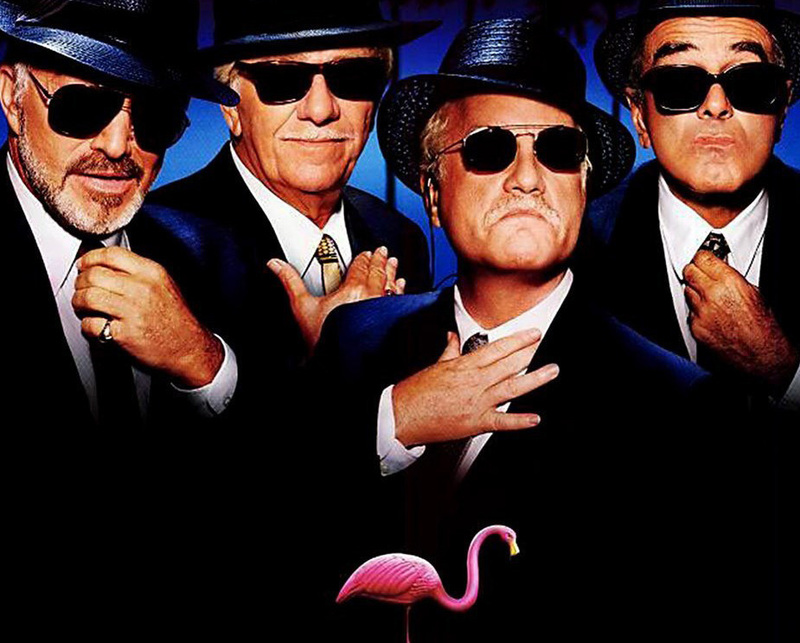 Four retired mobsters Bobby (Richard Dreyfuss) – the straight man leader, Bats (Burt Reynolds) – a cantankerous man with a short fuse and a pacemaker, Mouth (Dan Hedaya) – a silent ladies man many years past his prime, and Brick (Seymour Cassel) – a nice but dimwitted man plan one last crime to save their apartment at a retirement home (the owners are forcing them out with a rent increase so that the apartments can be rented to young, affluent South Beach couples). The four steal a corpse from the mortuary to use as the “victim” in a staged murder scene. Unknown to them, the body was that of Luis Ventanna, the head of a Colombian drug smuggling ring. As a result of the “murder”, many of the young renters leave and the four men are given cash and a rent discount by the complex to keep living there. Much of this money is spent on high living and women, which causes a young stripper, Ferris (Jennifer Tilly) to discover that the four men staged the murder – while spending time with the normally-silent “Mouth,” he reveals that his mouth is loosened by intimacy with women.